The 14th hole is a fairly short par 3. Off the back tees it measures 149 yards and the ladies tees are 140 yards away. The main obstacle of the hole is the cross bunker at the front of the green which takes a 130 yard shot to carry so taking a slightly longer club would be a good idea as there is only a slight drop off the back of the green. 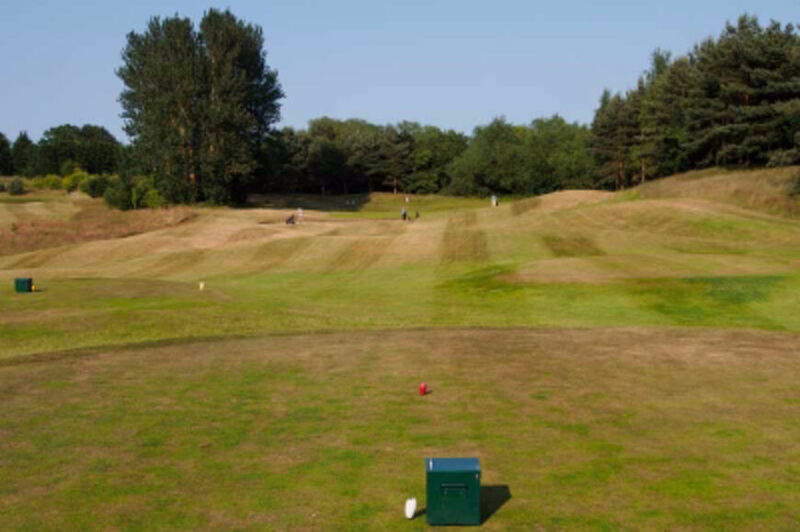 The left hand side of the green is the safer side to aim at as the slope of the land and green will bring the ball back to the centre of the green. Club selection is all important as the green is two tiered and you could end up with a very long putt if you’re on the wrong tier.